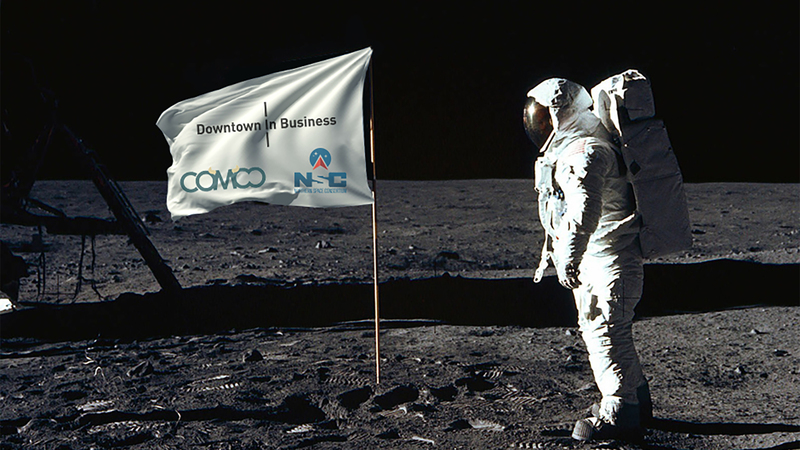 After a competitive tender process, Downtown In Business, along with Comoo and the Northern Space Consortium will work together to deliver a project to develop the Local Space Cluster and Supply Chain for The UK Space Agency. This project will see the consortium work to across the North West of England to deliver an engagement programme to help businesses get involved in the Space Sector. The UK Space Agency, a government department, is responsible for efforts to explore and benefit from space, ensuring that the UK retains and grows a strategic capability in space-based systems, technologies, science and applications. The benefits from delivering this Space Growth Action Plan are tangible. Billions of pounds worth of new exports, up to 100,000 skilled jobs in a leading-edge sector, a range of new value-adding applications and a vibrant regional SME sector spread across the UK. “The role of the Northern Space Consortium is to help the development and expansion of the Space industry in this part of the country and this new project is exactly one of the ways that we can do that. We look forward to working together for the benefit of all in our region.” added Bob Morris, Chairman, The Northern Space Consortium. Alan Cross, the European Space Agency Business Applications Regional Ambassador added “Space is a critical industry to the UK and, considering the experience and skills across our region, offers business a great opportunity. This programme of analysis and engagement represents a major escalation of our region’s ambitions in innovation and growth, and it’s delivery could not be more timely.